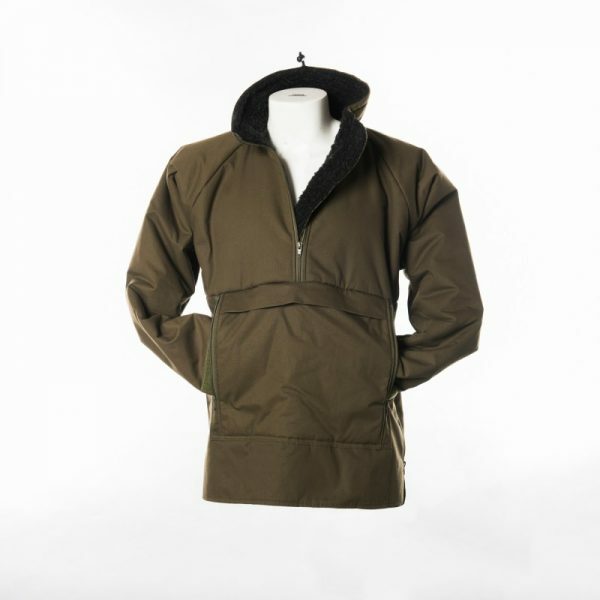 Our Mammoth is our most popular and famous mid-layer design. The Mammoth boasts quality, style and practicality. 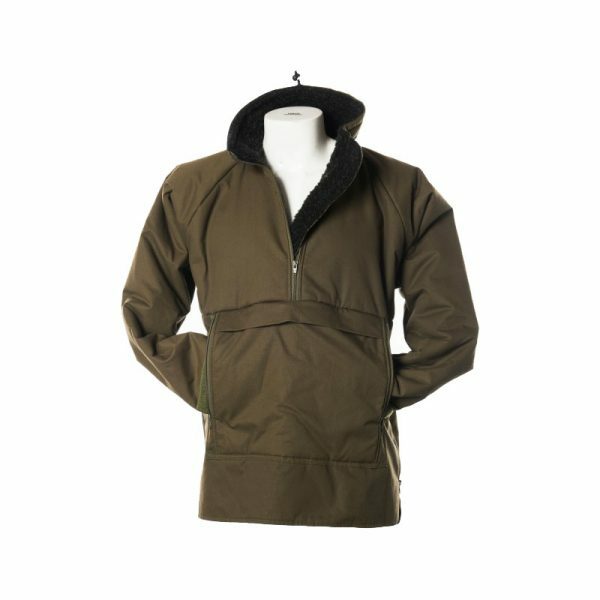 This is the perfect outdoor working smock – it is designed to keep you comfortable and warm. 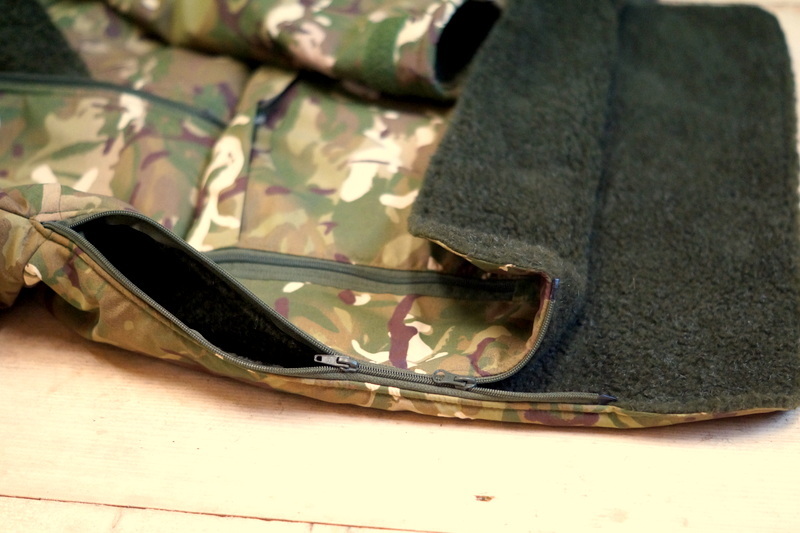 With its trusty fiber pile fleece lining it is ideal for the job. 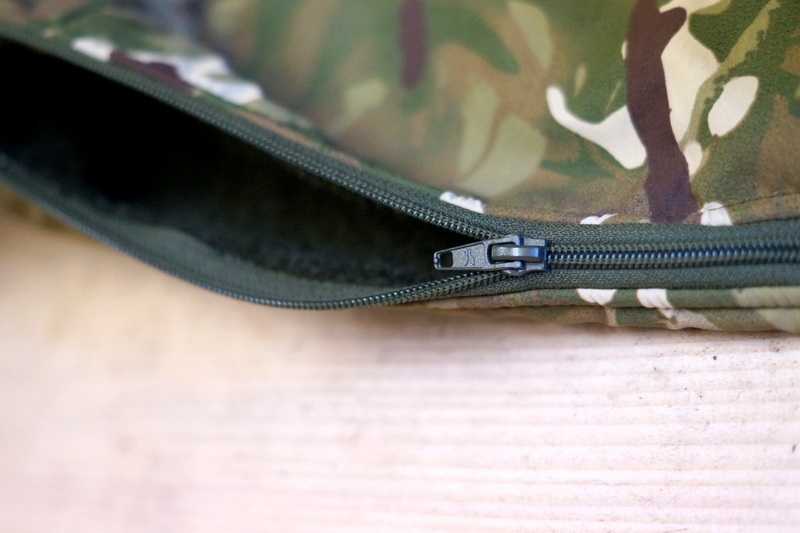 The double front pocket is very useful and can be used in many ways. It has a concealed map pocket and double zipped sides for ventilation and to aid getting it on and off. 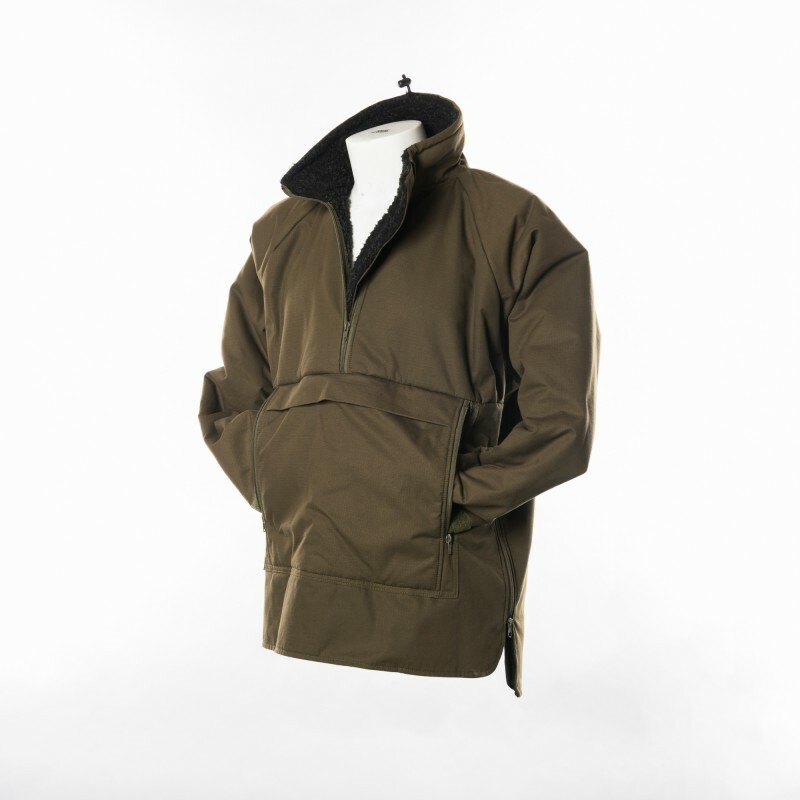 Available also in our Mini rip fabric – a more lightweight version of our Ripstop. WE ARE A MADE TO ORDER SERVICE THEREFORE ALL OF OUR PRODUCTS USUALLY TAKE BETWEEN 10/15 WORKING DAYS BEFORE DELIVERY UNLESS THERE IS A MESSAGE AT THE TOP OF THE SITE SAYING OTHERWISE. PLEASE EMAIL OR RING US IF YOU NEED YOUR ORDER FOR A CERTAIN DATE AND WE WILL ENDEAVOUR TO GET THE PRODUCTS CUT AND MADE FOR YOU FOR YOUR DESIRED DATES. The Fortis Mammoth, exceptional performance and truly excellent construction. I recently purchased one of these awesome tops from Oliver at the start of January. i have worn this in -35 degree celcius cold here in Canada, wearing an undershirt and a lightweight long sleeve shirt i stayed warm while i was working out side shoveling snow in moderate to high levels of exertion. If you stay moving you will be toasty warm, the pile lining is very good at trapping body heat. 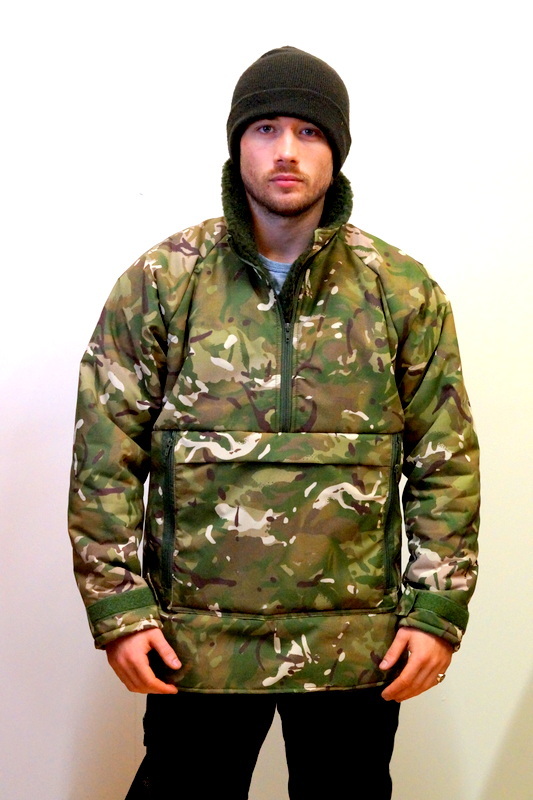 I would reccomend the mammoth to anyone who works outside in a wide variety of conditions, especially hunters, Military and anyone else who wants versatile kit to stay warm. 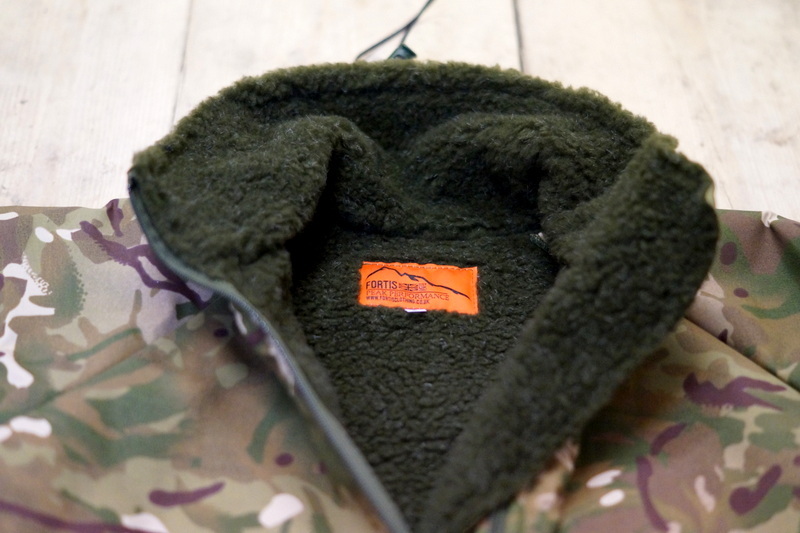 The “new” ripstop version is very durable, i have a mammoth shirt from a competitor that i have had for years, but was scared to really beat up in the bush, as the micro ripstop nylon just seemed too delicate for rugged use. This new mammoth will definately endure hard usage without any concerns. Simply……..superb ! I stumbled on Fortis by chance and seriously, I’m glad I did. I purchased a Mammoth top for fishing through the Winter months and its proven itself to be excellent. The pile lining, I first thought, maybe a little under gunned for sitting around in the cold and damp but was quickly proven wrong. The Mammoth is incredibly warm. The pile lined, high neck – collar, is the perfect height to hide behind when those bitterly cold winds blow, with the body pocket, again, pile lined, lovely and warm for the coldest of hands. Ive used the Mammoth through the recent cold weather and can honestly say its more than fulfilled my expectation. Incredibly well made, generously cut for even a bigger guy like me. I cannot recommend this product enough. It is superb !